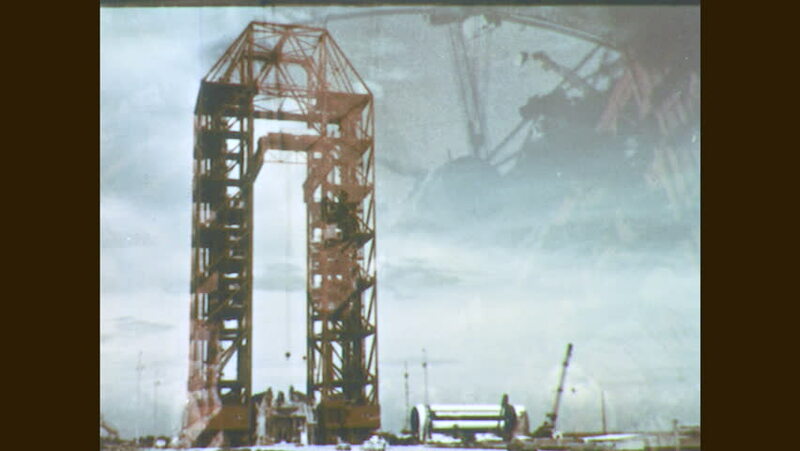 1960s: Rocket launch tower. Rocket test facility. Rocket booster moves to launch pedestal. Second stage booster lifted. 4k00:14CAPE CANAVERAL, FL MARCH 15, 2019 - A United Launch Alliance Delta IV rocket sits on the launch pad prior to launching the Air Force’s WGS-10 GPS satellite into space. Camera tilts up. 4k00:094k. Mobile crane is carry concrete joist to assembly. Workers are helping on the ground. Wide shot of newly constructed object in teal and orange. Panning.